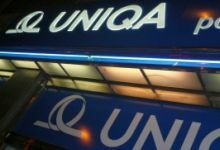 According to the FY 2012 preliminary results, the Austrian insurance group UNIQA recorded earnings before taxes of EUR 205.4 million, “marking a return to profitability after a loss due to significant non-recurring effects in the previous year (EUR -322.3 million in 2011)”, while the consolidated profit (after taxes and minority interests) amounted to EUR 130.2 million (EUR -245.6 million in 2011). Total premiums written (including the savings portions of unit- and index-linked life insurance) rose slightly by 0.2% to EUR 5.54 billion, while the combined ratio in property and casualty insurance after reinsurance fell to 101.3% in 2012 (104.9% in 2011), showed the group’s press release. The net investment income rose by 292.2% to EUR 791.5 million. “We achieved what we set out to do in 2012. This is a first step in the right direction. Our main focus now is continuing the systemic implementation of our strategic program UNIQA 2.0,” stated Andreas BRANDSTETTER, CEO, UNIQA. (UNIQA 2.0 is a long-term strategy program that the company has been implementing since summer 2011). By regions, in Austria, the GWP declined by 3.2% to EUR 3.56 billion, in CEE it was up 4.5% to EUR 1.29 billion, while in Western Europe premiums written rose by 12% to EUR 681.5 million. By insurance classes, the total premiums written in property and casualty insurance grew by 5.6% to EUR 2.54 billion. In health insurance they rose by 3.3% to EUR 909.2 million, while in life insurance (including the savings portions of unit- and index-linked life insurance) the total of the same indicator fell by 7.0%, to EUR 2.08 billion.